Much like the yellow badge, the ghettos, and the mass deportations Jews suffered, the metaphor of the Jewish vampire was not a Nazi invention. Hitler was not that creative, or he might have been accepted into the Vienna Academy of Fine Arts, joined the impressionists and poured his hateful rage onto a canvas rather than into Europe. 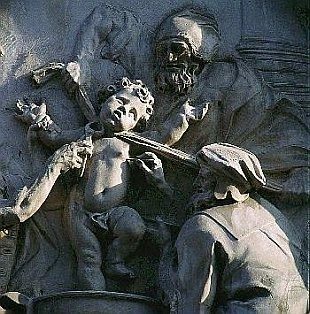 The image of the Jew as a proto-vampire is found on cathedral walls and in sculptures, paintings, frescoes and literature dating back to the Middle Ages. In later centuries many works of literature hopped on the bandwagon, including “Canterbury Tales,” “Entdecktes Judenthum” (“Judaism Unmasked”) and even modern novels such as Charles Dickens’ “Oliver Twist”. Depicted therein are groups of Jews seeking fresh Christian blood. The metaphor of the vampire Jew was not forged in a cultural vacuum, but rather was derived from a new anti-Semitic genre, the hateful and terribly efficient trope of the blood libel. In these two-dimensional portrayals the story went that on Passover eve the body of a Christian child was found, resulting in the inevitable conclusion that the Jews had killed the child and used his blood to bake their matzos. After all, as every good baker knows, in a pinch, you can substitute flour with children’s blood! 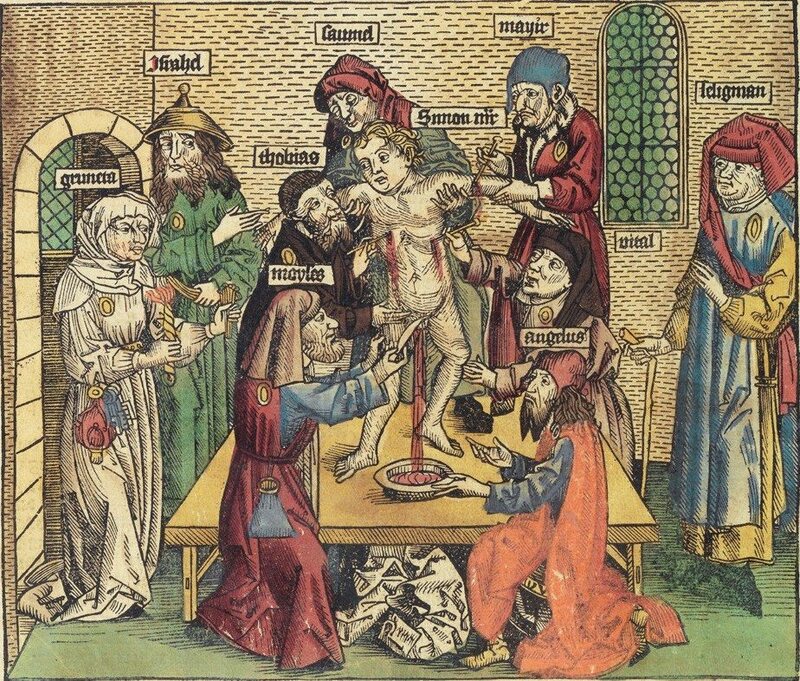 The first allegation of ritual murder performed by Jews unfolded in 1141 in Norwich, England, when a Christian boy named William went missing and soon after his body was discovered. This tragedy coincided with a rumor that had been circulating that the Jews of Europe cast lots to determine which Christian child to sacrifice for Passover. It was said that William had been that year’s selection. Though there was no evidence of murder or Jewish involvement in the child’s fate, Norwich’s Jews were blamed. Other blood libels quickly spread throughout England, and, from there, throughout Europe. But European Jews did not suffer these accusations alone; the Jews of the Middle East were also on the receiving end of these dangerous allegations. History’s most famous blood libel occurred in 1841 in Damascus, resulting in violent riots against local Jews. 1922 saw the first cinematic meeting of the concepts of the vampire and the Jew. 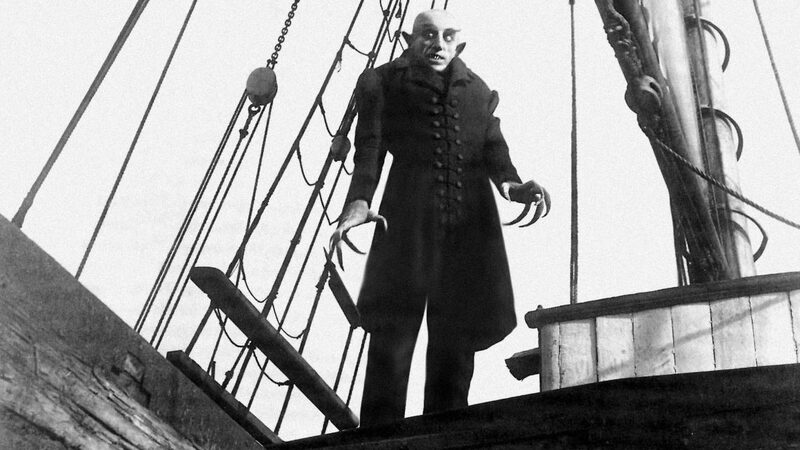 “Nosferatu,” the first silent vampire film, was inspired by the book “Dracula” that had been published two decades earlier. Count Orlok, the film’s main character, had the face of a mouse with a curved nose and greedy little eyes that lusted hungrily after young, fair-haired Aryan women. Seated in the audience at the film’s premiere was Julius Streicher, who would become chief editor of “Der Stürmer,” Hitler’s anti-Semitic newspaper. Streicher was immediately infatuated with “Nosferatu.” So aroused was he by the blood gushing from the young woman’s fair flesh that he returned to watch the film day after day. As chief editor of “Der Stürmer” he was inspired by the film’s vampire image, and soon dozens of caricatures began to appear of vampire-like Jews. For Streicher, the vampire represented the Other — the deformed, ugly, un-German, disease-ridden well-poisoner. In other words, the Jew. Vampire experts (yes, that’s a thing) say that the vampire represents the darkest, most repressed urges of the human mind — the lust, violence and sexual urges that cultural and societal conventions tend to oppress. These experts claim that the vampire is a projection of our desires, and this is the key to the vampire’s phenomenal success in 20th century popular culture. 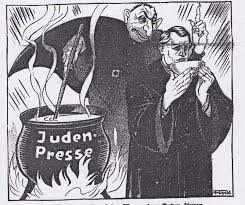 In 1920s Germany there was one primary group upon whom those dark characteristics were naturally projected: the Jews. Interestingly enough, in recent years the vampire has undergone a dramatic visual transformation. Today’s vampire tends to be white, tall, blue-eyed and handsome. The vampires depicted in “True Blood,” “Twilight” or “Buffy the Vampire Slayer” could easily pass for members of the Hitler Youth. Does this mean that in modernity the white man has become the bad guy? Not necessarily. But if Hitler knew that the vile image of the Jewish vampire had morphed into his own beloved Aryan, he’d be rolling over in his grave.